Leroy Jethro Gibbs (that’s him to the left) is a TV character on CBS’s hit show, NCIS. It’s one of my favorite shows. Last night’s episode included a closing scene where we learn rule number 5. Gibbs is a man with rules. 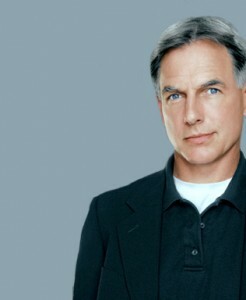 Gibbs the leader utters rule 5 to a prospective hire, Anthony DiNozzo. Tony, of course, goes on to join NCIS and Gibbs’ team. Gibbs is a great leader. He sees the future first. He sees in Tony (that’s him to the right) possibilities that Tony doesn’t yet see for himself. After telling Tony about rule number 5 Gibbs utters two words that make all the difference in Tony’s life. It’s a game changing phrase. For both men. It compels Tony to join NCIS. It gives Gibbs another good investigator on his team. This week is Teacher Appreciation Week. Today, May 4th is Teacher Appreciation Day! Today I want to share some ideas, thoughts and perspectives on not wasting good in our own lives, and in helping students prevent wasting good in their lives, too. It’s a powerful work. It’s high value work. Congratulations to all the teachers who do it. Next post: Will You Quit Today?